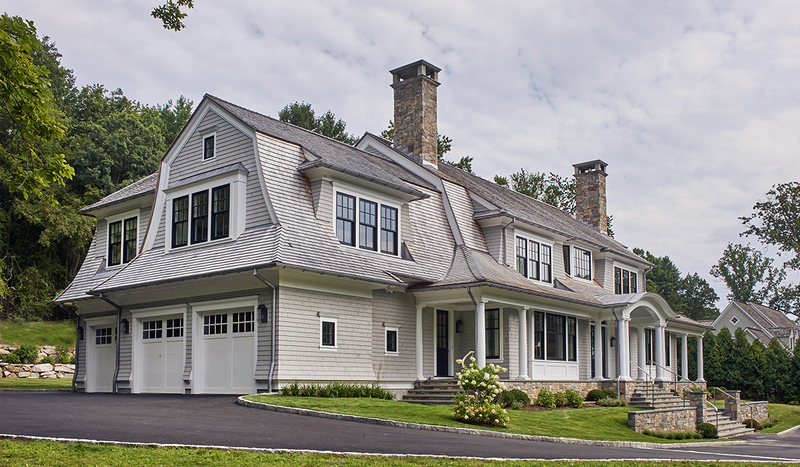 This lot was set high from the street so our design needed to be compact and feel proportional from the lower road. 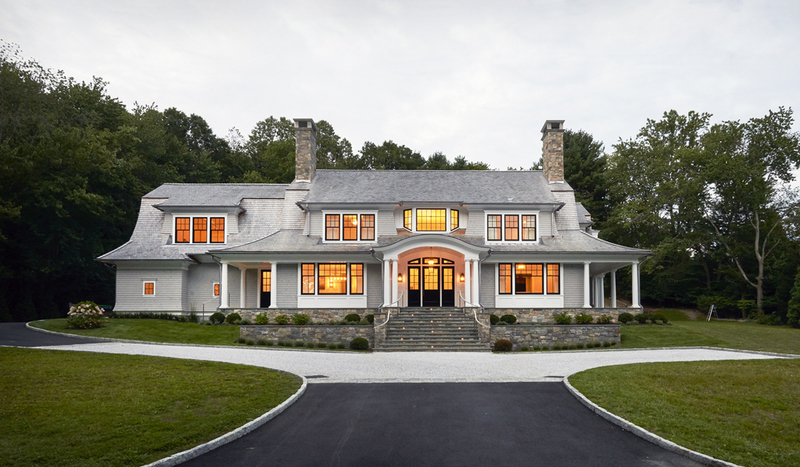 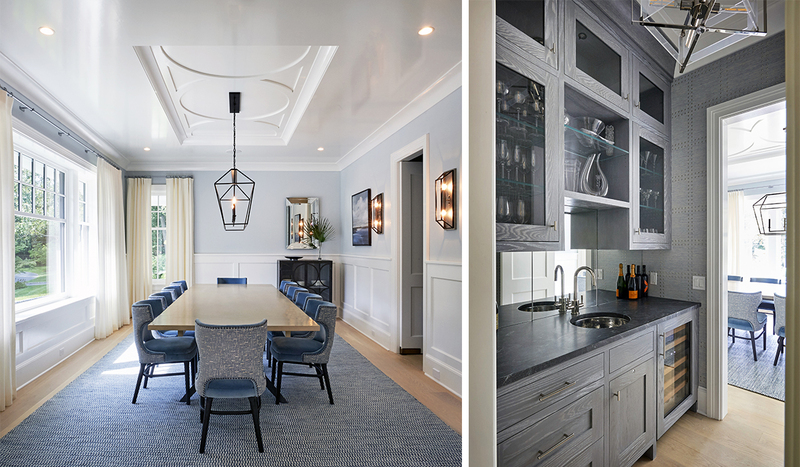 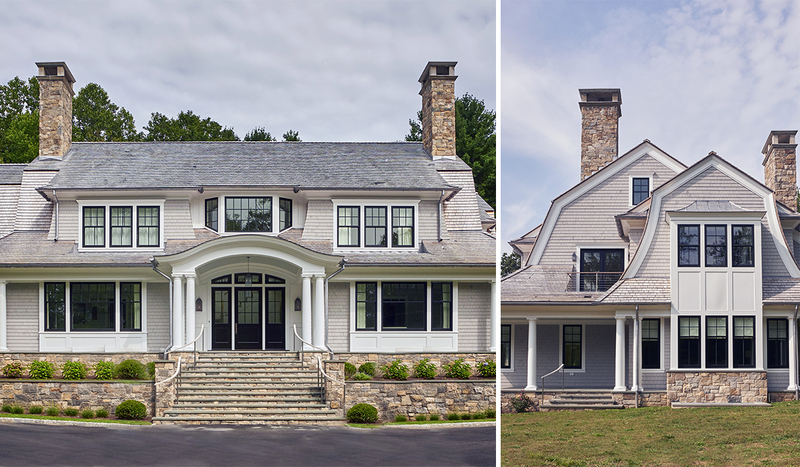 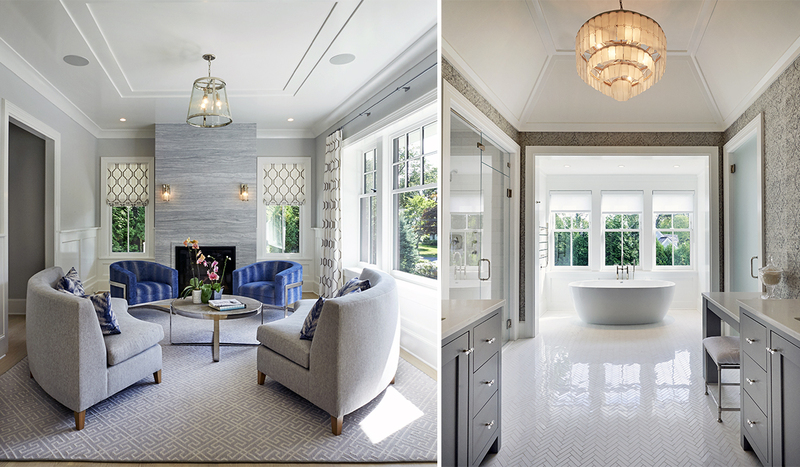 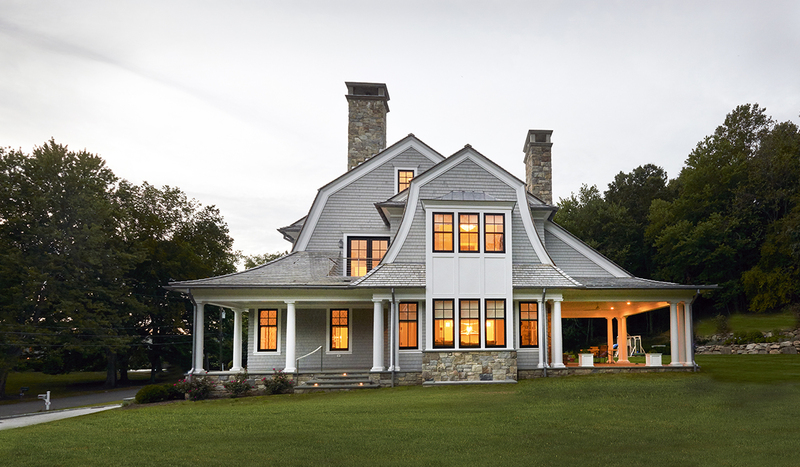 Bringing the gambrel roof lines down to the first floor and creating shadow lines were specific strategies to help this house sit eloquently on the property. 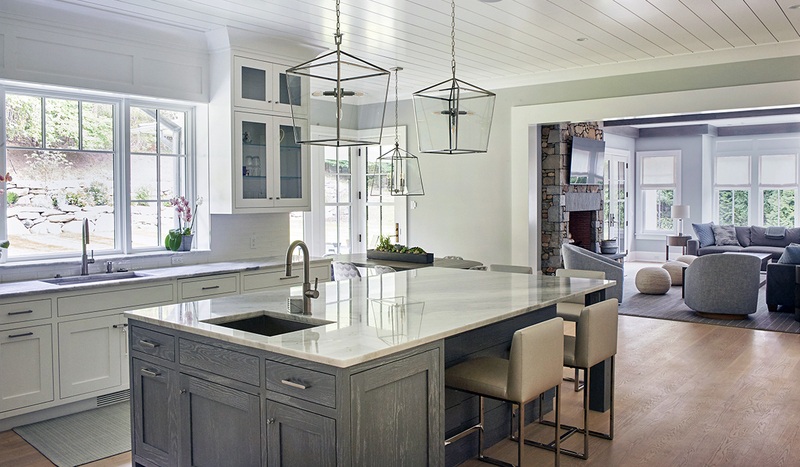 The interior is a crisp, clean transitional design intended to contrast with the tradition nature of the exterior.